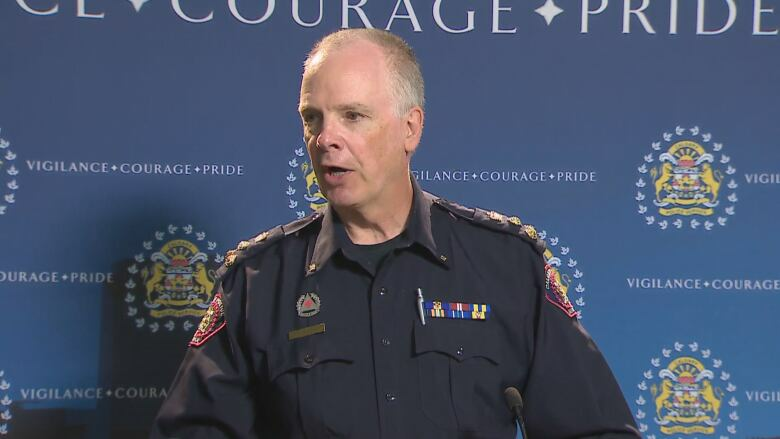 The Calgary Police Service chief constable gave a formal apology to the "gender and sexually diverse" community "for actions in the past that have contributed to the marginalization of LGBTQ2S+ Calgarians over the years," he said. Chief Roger Chaffin read the statement to the media and the Calgary Police Service Gender and Sexually Diverse Advisory Board at a press conference at police headquarters. "We have learned over time and there are things we did in the past that we would not do the same way today," said Chaffin. "This apology is a way for us to acknowledge that our relationship with gender and sexually diverse Calgarians has changed and we now know that the things we did in the past were not the right things to do." The statement was also released through the Calgary Police Service's social media accounts, including Twitter and Facebook. The CPS also produced a video featuring Chaffin and other senior officers reading excerpts from the apology. The statement notes that Prime Minister Justin Trudeau made a formal apology last year for historic criminalization and systemic oppression of LGBT Canadians. "Today, our service wants to acknowledge and apologize for our role in that history," Chaffin said. "Before the decriminalization of homosexuality in 1969, the culture within our service contributed to the marginalization of the gender and sexually diverse community.… Instead of supporting members of this community when talks of changing the law began, our service spoke against the decriminalization of homosexuality." 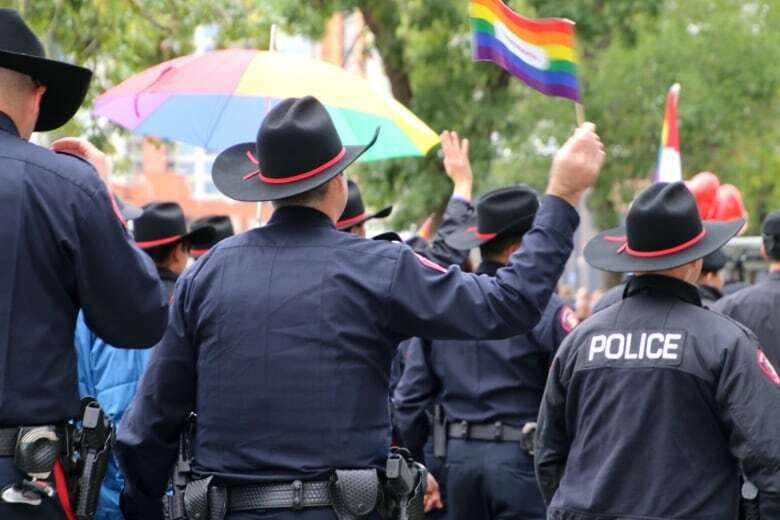 The statement goes on to say the Calgary police remained slow to embrace the emerging social acceptance of LGBTQ2S equality for decades to come, as evidenced by decisions in the 1980s not to issue permits for the Pride parades. Not until the late 1990s did the CPS begin to commit to building relationships with the gender and sexually diverse community, the apology says. The statement also expressed regret for the 2002 police raid of the Goliath bathhouse, which angered the gay community. "Throughout our history, we have fallen short of properly understanding your diverse cultures," Chaffin read from the statement. "Inclusivity is the cornerstone of a strong city, which is something it took us a long time to understand." That lingering fear and mistrust was expressed by Calgary Pride last year, as it decided to bar uniformed police officers from marching in the annual parade. Uniformed officers did take part in 2016. Jason Kingsley, president of Calgary Pride, said at the time that the presence of uniformed officers in the parade can be a barrier to some people of colour in the LGBTQ2S community. After a meeting involving CPS, Calgary Pride and Voices (Calgary's Coalition of People of Colour), a compromise was struck inviting police officers to participate in plain clothes. Chaffin said part of the impetus for Friday's apology was just realizing that the force has a history that it must come to terms with. "And using the words 'I'm sorry' can be meaningful for an institution like police," he said. Kingsley praised the chief for his words. "To see this come forward and to see an institution like policing be able to stand up humbly and with humility and say 'we've made mistakes and we're sorry for those mistakes and we want to do better going forward,' gives me real hope for the future," he said. Asked if he had heard whether CPS officers will be welcomed at this year's Pride parade in uniform, Chaffin said Friday's apology was a separate matter. "The decision on Pride parade is going to happen later on. We'll have some announcement of that coming up," he said.